Suitable for indoor or outdoor installation, the Vitocal 350-A is ideal for modernisation projects. It can be used in older systems with radiators and it supports cascade function for up to five air source heat pumps. 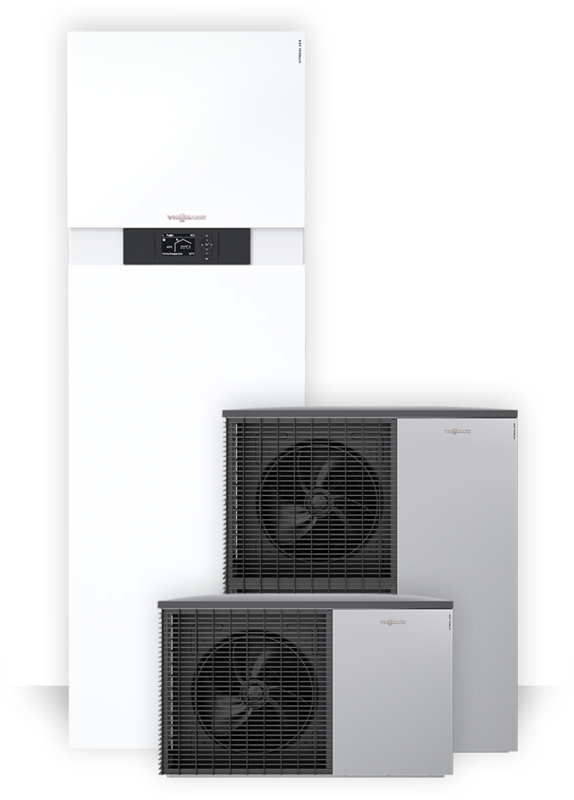 The Vitocal 350-A is the first air/water heat pump with digital scroll technology and an electronic bi-flow expansion valve. This means it achieves an extremely high Coefficient of Performance of 3.5 (air 2°C / water 35°C) and therefore high seasonal performance factors too. What's more, it accounts for the particularly reliable heat supply of the Vitocal 350-A, as well as providing significantly lower running costs. The Vitocal 350-A air source heat pump is designed to catch the eye. It is installed in the garden and utilises the free heat available in the ambient air. The appliance is specially designed for modernising detached houses.The Vitocal 350-A is very quiet, even in standard mode. At night the fan noise is further reduced by a low speed setting. Power from a photovoltaic system on site can be used to run its electrical components, thus reducing the already low operating costs. The Vitocal 350‑A is capable of reversed operation to provide cooling during the warmer months.When high temperatures occur in summer, convectors or surface cooling systems make the interior feel pleasantly cool. 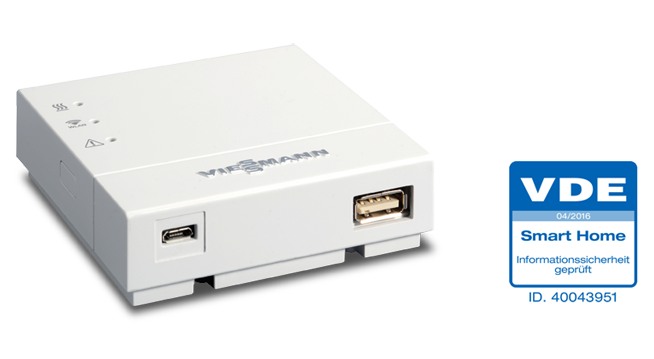 Control Vitotronic 200 - Can also be operated via app via a smartphone at any time. 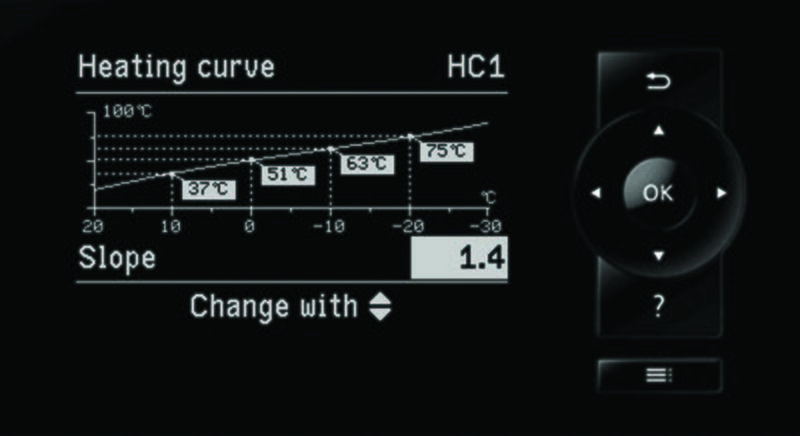 The Vitoconnect 100 interface is required to operate via the app. Retrofitting of earlier heat pumps of the Vitocal series (from 2010 onwards) is possible at any time. 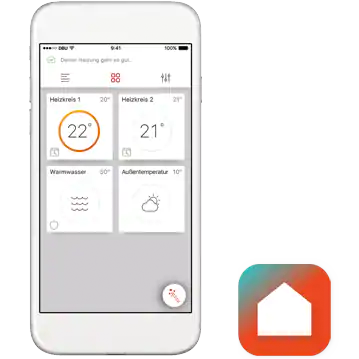 The ViCare app allows the user to control their heating system via a smartphone. The operating status can be viewed at any time and, in the event of a fault, contact can be made quickly and easily with the installation company previously registered in the app. Particularly quiet operation is ensured by a radial fan with variable speed control and a reduced fan speed for night operation. Every household has different heat demands and the conditions for installing a heat pump vary. The range of accessories for the Vitocal 350-A is suitably flexible and comprehensive. Subject to demand, the heat pump can be supplied fully equipped. This means the heating circuit pump, expansion vessel and safety equipment have already been fully fitted. Even the modular electric instantaneous heater can be easily integrated. 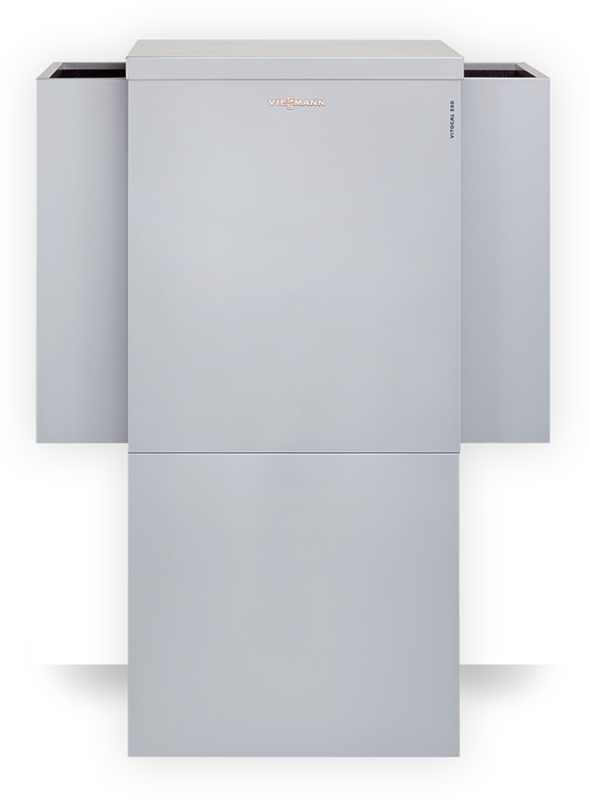 In conclusion, Viessmann has the complete product range to meet the demands of any installation you require – inside or out. 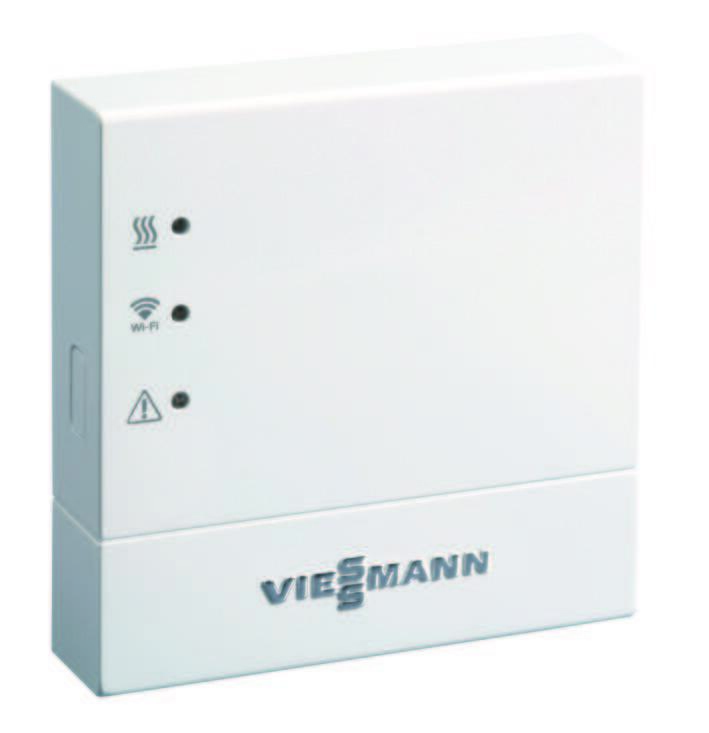 With the new control unit in the Vitocal 350-A, you can simply connect your heat pump to the Vitocom 100. This gives you the option of conveniently operating your heating system via your mobile phone if you wish. Thanks to its reversible operation, the Vitocal 350-A can also be used for cooling. Convectors or surface cooling systems with cooling capacity of up to 8.6 kW give you the flexibility to make your living area even more pleasant. 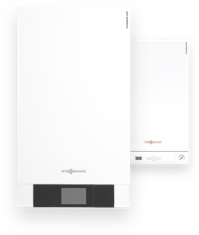 Available with an output range of 2.3 to 11.8 kW and featuring a monobloc design, the Vitocal 222-A provides effective and efficient heating and cooling. 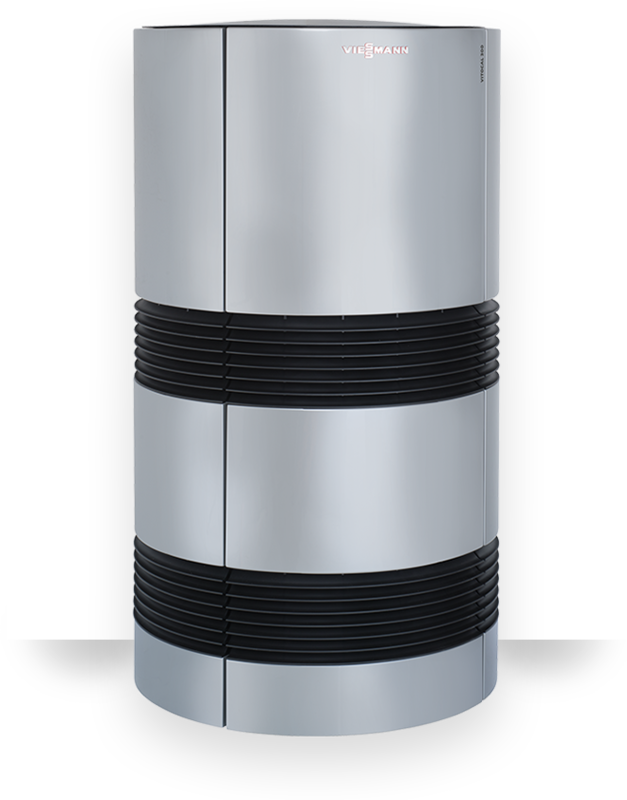 Designed to catch the eye, our Vitocal 300-A air source heating system is intended for installation in the garden. It boasts exceptional efficiency, high performance and low noise levels. 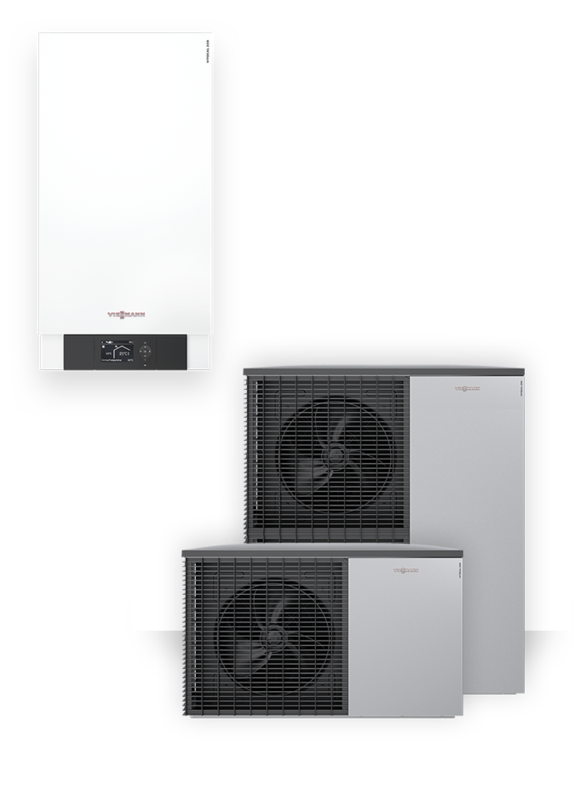 With energy ratings of A++, our monobloc Vitocal 200-A heat pump provides cost effective and environmentally responsible heating. It is also extremely quiet.